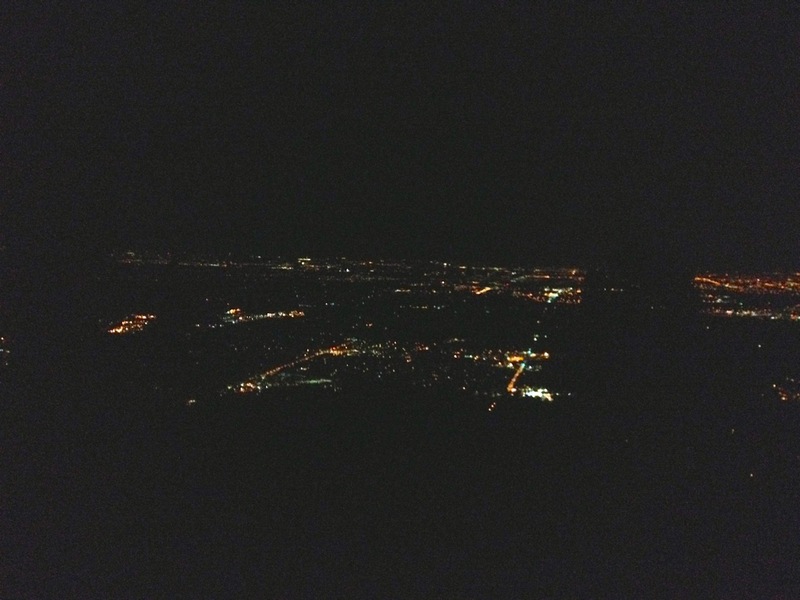 Boulder from Green Mountain at night, a view I’ve seen many times, but never quite like this. I run at night a lot. 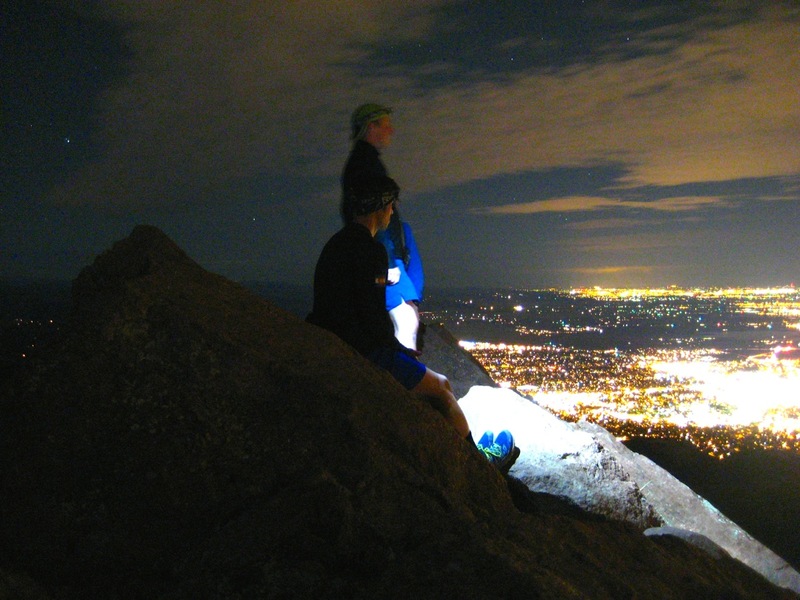 As the co-leader of the Boulder Trail Runners Night Run, I log several hours each week in the dark on everything from pavement to gnarly technical terrain. Many of my favorite and most profound memories have been forged during night runs. But I’ve never run ALL night. Given that I’ll be doing so in less than a month (ulp! 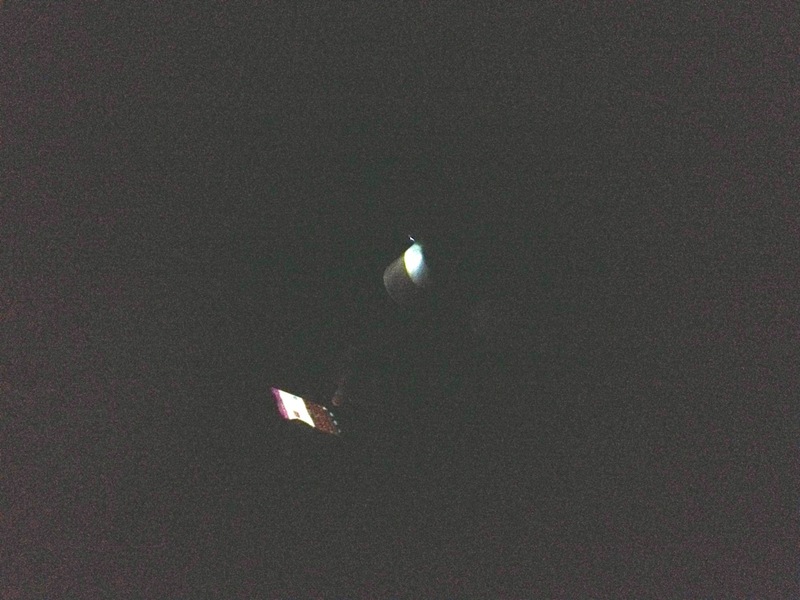 ), I’d rather figure out my systems for staying awake, moving, warm, and sane now rather than at miles 45-60 of Bighorn. I’ve heard things can get a little weird in the wee hours of the morning. A classic night summit from October 2014. As part of my training Master Plan, I set out to do an all-night run to work out some of these issues (also, to get in yet another 20+ mile training run). The logistics of a long training run aren’t so complicated (which is one of the reasons I took up trail running): go somewhere, run, go home. Maybe you’ve got some friends, maybe you don’t. Maybe you have a way to resupply mid-run or maybe you’re carrying all the food, water, and gear you need for 6-12 hours on the trail. That’s during the daytime. Running at night is a whole ‘nuther beast logistically from your typical long trail run and this turned out to be a surprisingly hard problem. Most public land or at least the trailheads by which it is accessed is closed after dark. My plan to simulate the all-night portion of a race with car-trunk aid stations at trailheads was stymied by lack of available parking spots. Even the Boulder City open spaces (which are not closed at night despite certain extremist, agendaed Boulderites) are served by trailheads which are closed 11pm-5am. Second, I needed a like-minded compadre who thought that running through the night for no good reason sounded like a cool idea. A lot of my training have been solo (which is fine) or with a small group of like-minded folks, but this was a tough sell even amongst the craziest of my crazy friends. When I broached the subject, it turned out that most of them had plans to wash their hair that night, even the ones with less hair than me! I don’t mind running alone as necessary and in fact some of my favorite adventures have been just me and the mountains. However, solo in the mountains at night definitely voids various parts of my wedding vows. An optional, third requirement was a stretch of non-horrible weather, something which has been hard to come by this month. 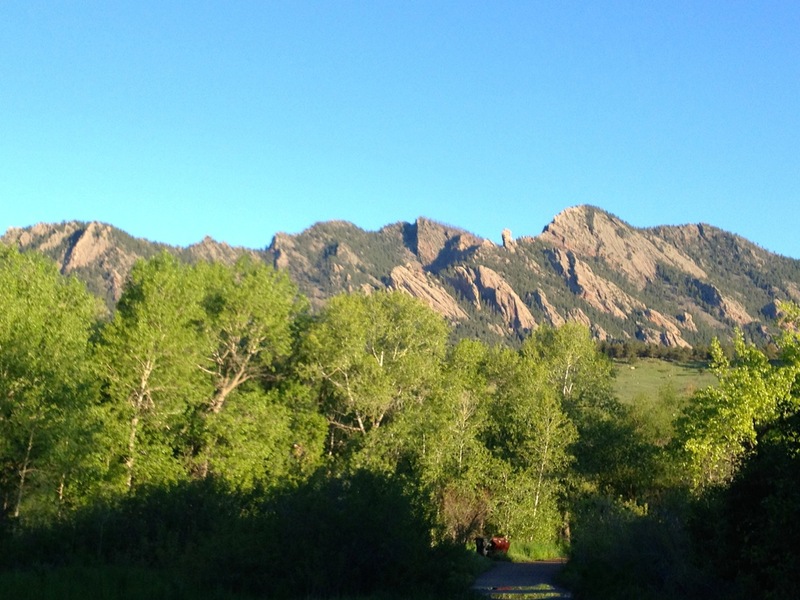 May has been the rainiest month in Boulder in the past couple decades with weeks at a time with no sunshine at all. The ground is saturated, the trails are a sloppy mess (where they’re open at all), and people’s normally easy-going tempers are near or past the breaking point (myself very much included). With a 100 mile run in a month, I didn’t have a lot of time to wait around for ideal conditions, but I didn’t want many continuous hours of heavy rain and hail (something which has happened). After a chaotic, angsty week in which I was, frankly, not a very nice person a lot of the time, things came together and came together beautifully. 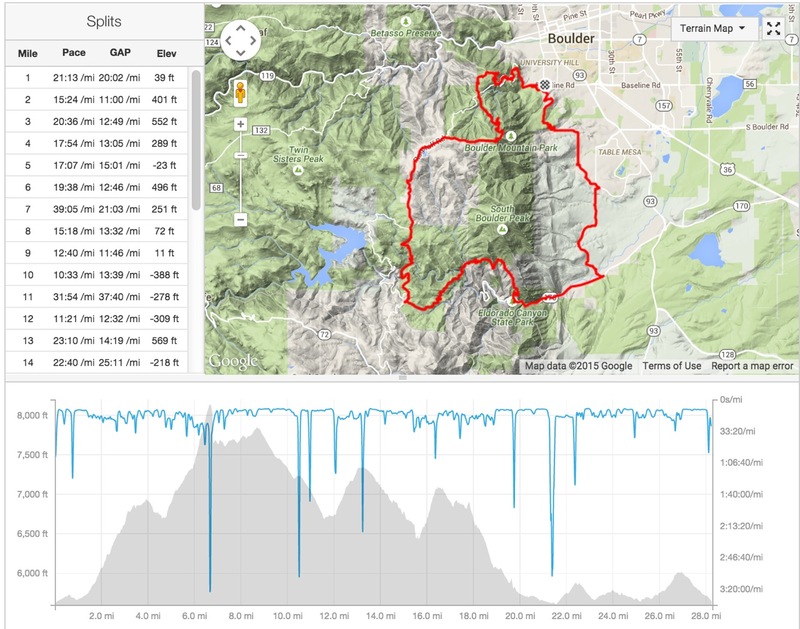 I solved the first problem (access) by parking on the streets in Boulder near Chatauqua and stashing a cooler “aid station” at a trailhead near the southern end of our loop. I solved the second (company) by cajoling, threatening, and basically pleading with Brian (who is in the same boat vise-a-vie Bighorn) to come along. The third problem (weather)… well, we just had to hope. It turned out really well. After a couple of back-to-back evening thunderstorms rolled through, the sky cleared up nicely. We dropped an aid station box at a trailhead near the far end of our intended loop, then drove around to Chatauqua to start. The route we ended up running involved Flagstaff Mountain (1 am), Green Mountain (2 am), down the West Ridge to Flagstaff Road (2:30-3), around Walker Ranch the fun (counter-clockwise) way (3-4:30 am), then up and over the always-torturous connector to Eldorado Canyon (6am), two miles of road to South Mesa (6:30 am), then a horrendous mudfest the last seven miles back along the lowlands to Chautauqua (8:30 am). Total distance was 28.6 miles in about 9 hours total time. Rejuvenating effects of morning sun on views like this. The route and logistics and such weren’t the important part. The importance for me was breaking the run-through-the-night barrier and the things I learned from breaking it. There were periods of profound beauty and periods of utter bonk. Watching the Milky Way arc overhead as we ran down the middle of Flagstaff Road was sublime. 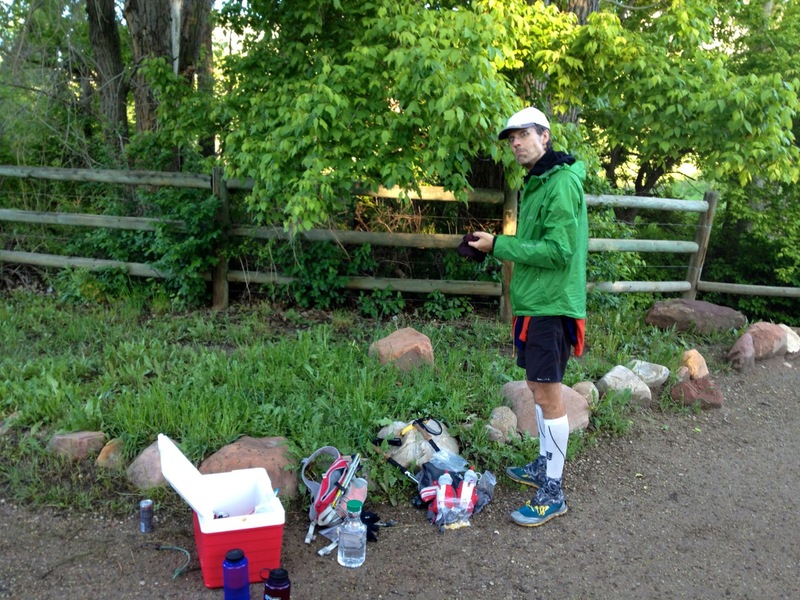 The feeling of whole-body tired an hour later as we paused at the Crescent Meadow trailhead to refuel was devastating. Sparkly frost on the bridges over South Boulder Creek was beautiful. Trudging clumsily up the climb at mile 16 listening to the first bird of the morning was humbling. Being hit by the full brunt of the rising sun as we rounded the Bastille in Eldorado Canyon at mile 19 was almost a physical jolt of energy that reset my clock most thoroughly. I learned that night is cold and dark. If you stop, you start to freeze and freeze up and drop into must-sleep-now mode. Keeping moving is the key to keeping moving. The morning sun has a rejuvenating effect that makes up for some portion of the 24 hours you’ve gone without sleep. The feeling of utter badassitude you get from passing people just starting their early-morning jaunts while you’re already at mile 20-something makes up for still more. 5-hour Energy taste terrible and give me hot flashes without even one of the five promised hours of energy. Starbucks Via instant coffee mixed with cold water and a little energy gel works nicely and doesn’t taste all that horrendous. Bright lights are essential but make sure your headlamp doesn’t keep turning on in your pack and running down the batteries. Companionship is vital, even if you’ve already told each other the stories, you’re eager to hear them again. The last month has been hard on my training. In April I concentrated on pure volume passing 200 miles in 30 days for the first (and last?) time. May was to have been very focused on specific goals, but sickness and three weeks of continuous rain (mud!) have made it somewhat less than desired. Last weekend I proved I could still run ultra-distances. Having the night-ops part of the training done is a huge relief and proves I can handle at least one aspect of the mental and logistical game which will come up in the middle third of the race in (gulp) four weeks. This entry was posted in exploration, night, peak, running and tagged boulder open space, eldorado canyon, flagstaff mountain, green mountain, Night Run, south mesa trailhead, walker ranch. Bookmark the permalink.